Fun post today while I am still basing some classic citadel for my next big Chaos Beastman post, I was inspired by the many posts I see on the Facebook wargames trading type groups, you know the sort "can you identify these miniatures for me, oh and tell me their value, oh and now I know what they are worth do you fancy giving me Ebay 'buy it now' prices for them" :D Anyway joking aside they are not for sale or trade. 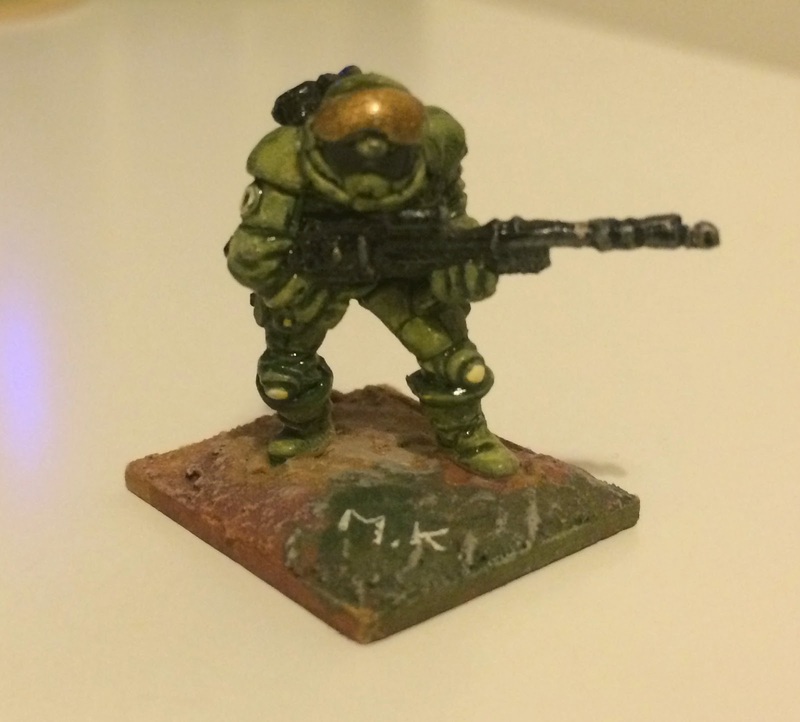 My painting time is severely restricted now due to our new baby in the house and I tend to only paint things that warm my heart like classic citadel miniatures from my teenage years. I started collecting miniatures when I was eleven years old after becoming bored with plastic Airfix, Matchbox, etc and seeing all the exciting D&D stuff that was coming out at the time and over the years I have acquired, traded, inherited and sold a lot of miniatures but I always tend to hang on to interesting miniatures hoping to strip and paint one day, thirty two years on and I was looking through some stored boxes of sci-fi miniatures for some Confrontation miniatures and I thought I wonder who made and sculpted this one and so on and so on. So if you fancy identifying any of these miniatures be my guest, it's for fun and credits will go photos later to those who do and if it generates some interest another post will follow. I do remember some of the manufacturers but some have got me stumped. I am sure all these will be heading for the Dettol one day. 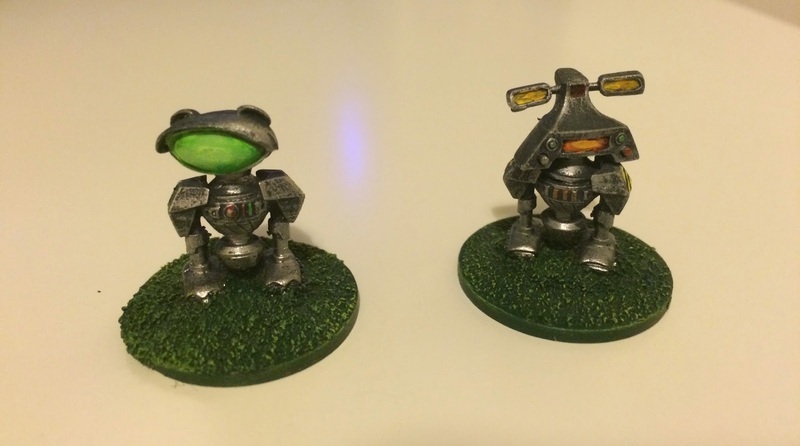 Thanks to Mark Elster on the FB Oldhammer group for identifying the Droids as Denizen miniatures. Thanks to Jonas at deathworldadventures blog for identifying these as Saurian troops from Folio Works High Command sculpted by Bob Olley. Jonas again identifying these nightmarish robots from Legions of Steel boardgame. Jonas identifies another Folio Works High Command miniature. 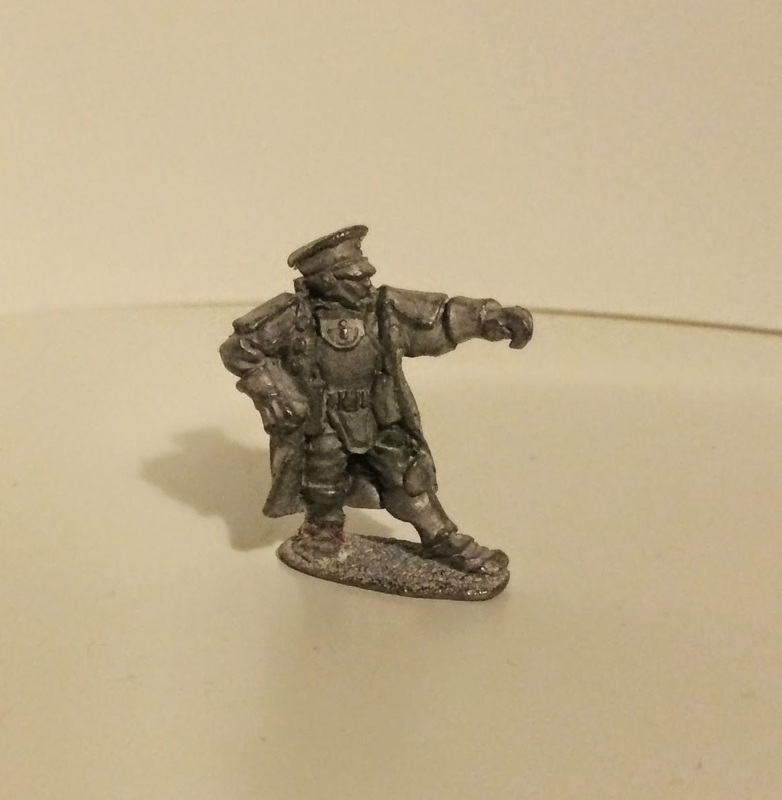 Thanks to Jonas and Colin Murray for identifying this one as an ex-Grenadier minature now EM4 Miniatures Savages sculpted by Mark Copplestone. Colin and KayDubstep4 identified the old Citadel Confrontation Hunter gang miniatures but the jury is out on who sculpted them at the moment. 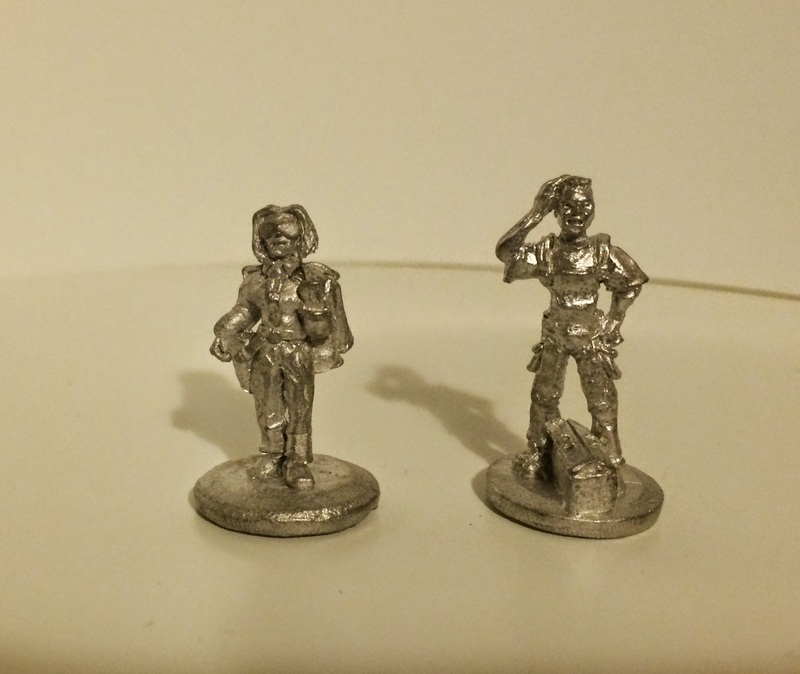 Jonas and KayDubstep4 identified the 2nd mininature and 4th miniature as from as EM4 Miniatures Future Skirmish range and the pink lady is from Spacelords. 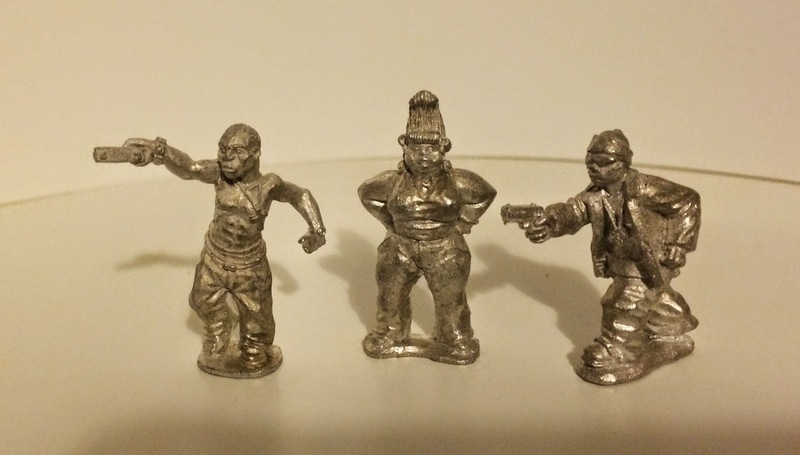 And more EM4 Miniatures Future Skirmish range in here I think not sure which ones though, number 2 is another Bobby Jackson Miniatures Thug, KayDubstep4 comes in again with the evil Clown as Mirliton cyberpunk miniatures. 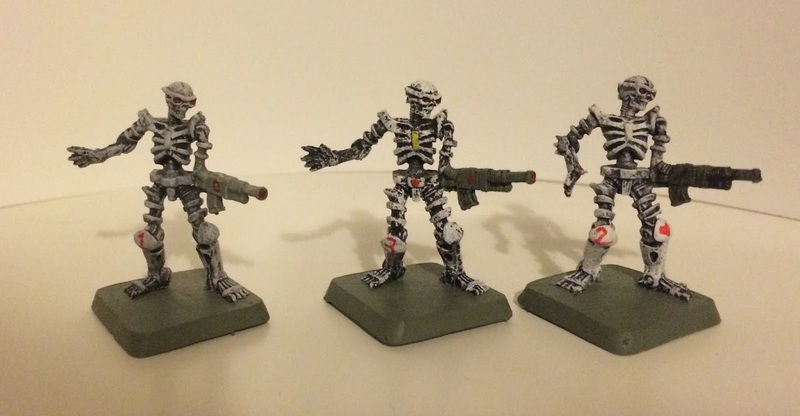 The Terminator Robots are Legions of Steel boardgame miniature. 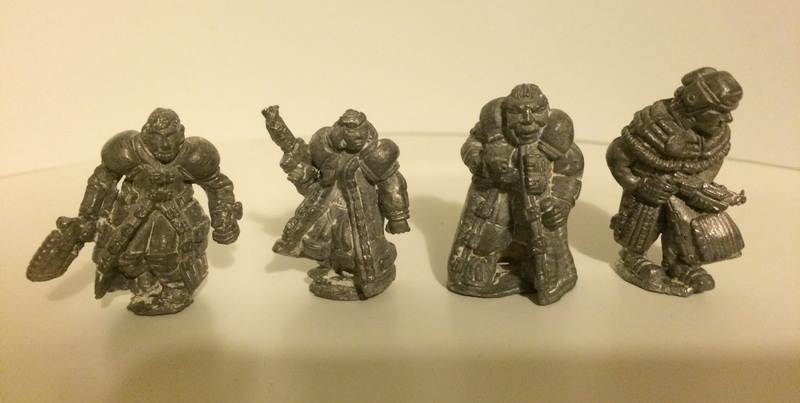 The Piscean proxies are from Folio Works High Command and are Bob Olley sculpts. The commissar is High Command miniature too. The wasteland guy and two first in the mix + 1st and 2 last on last picture are Em4 Combat Zone miniatures. 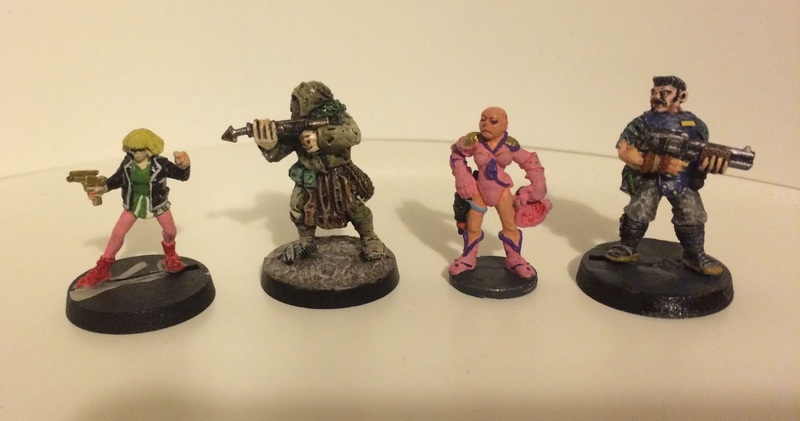 The pink lady is Spacelords miniature. The plenty of clues ones are old confrontation figs - I'm not sure who did these ones, i know the brats and scabies were by Jes Goodwin but these look like perry's to me. 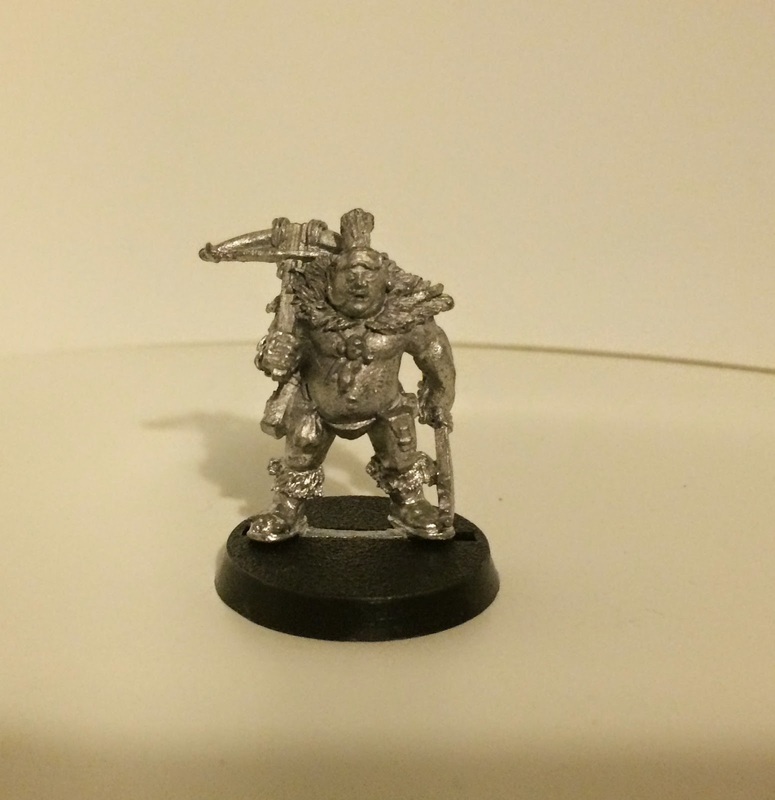 http://www.collecting-citadel-miniatures.com/wiki/index.php/Necromunda_First_Releases_(Confrontation)_-_Collectors_Guide they are "the hunters"